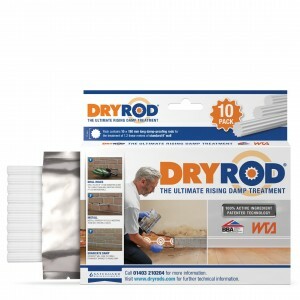 Dryrod Damp-Proofing Rods are a new high performance rising damp treatment. 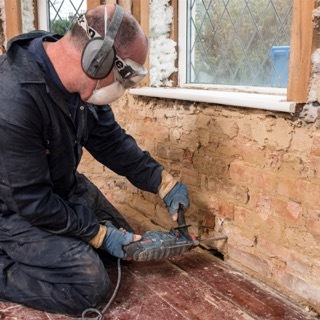 All that is required to permanently stop rising damp in your property is to drill holes along a continuous mortar course and then insert the damp-proofing rods. The rods will distribute water-repellent material along the mortar, using our patented delivery system, and then cure to form a damp-proof course. The wall will then dry out. No fuss, no mess and no stress. 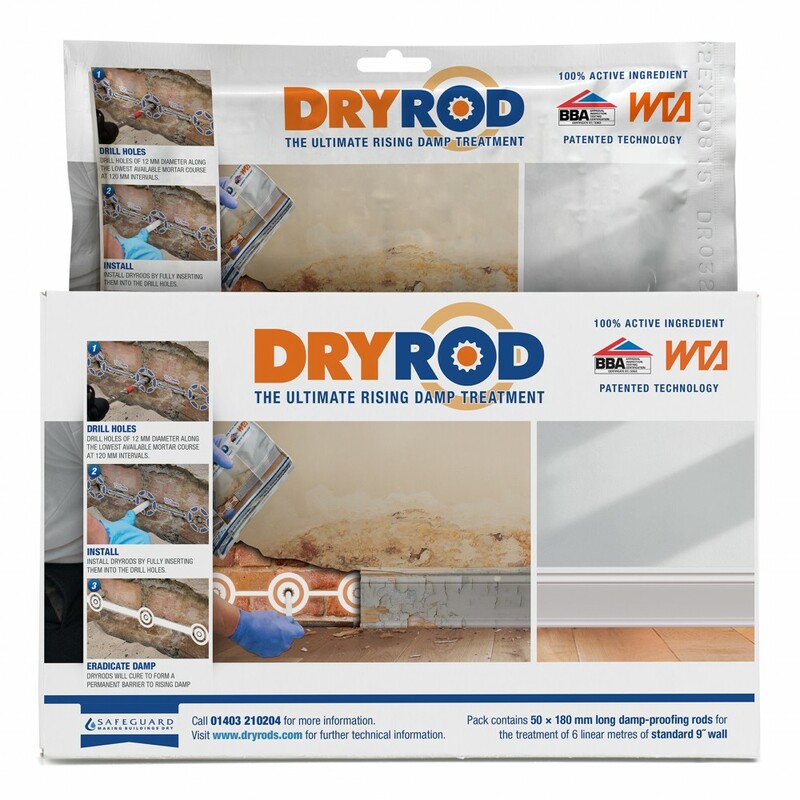 The patented rod delivery system is not only faster, cleaner and easier than other forms of rising damp treatment, making it suitable for DIY damp proofing, it is also more effective. 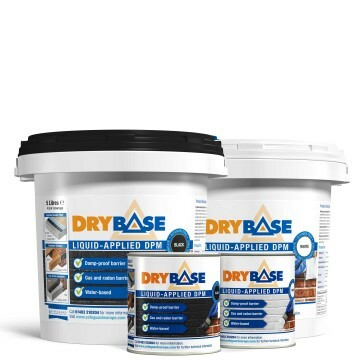 Unlike previous methods, which require measured application with specialist tools, a Dryrod Damp-Proofing Rod of the specified length will deliver the correct dosage every time. 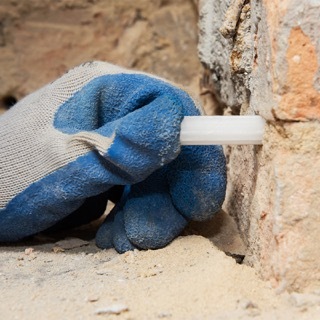 A wall treated with our damp-proofing rods is also over four times more resistant to rising damp than the next best treatment method. 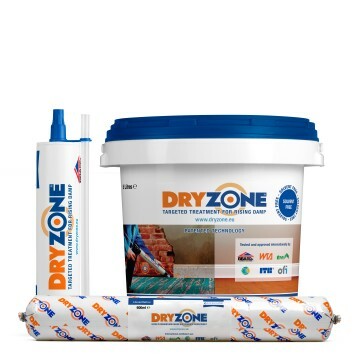 Dryrod - the premium rising damp treatment. 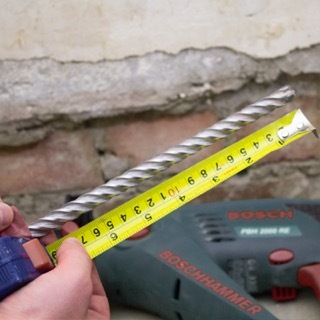 Mark your drill bit to the appropriate depth for the wall you wish to treat. 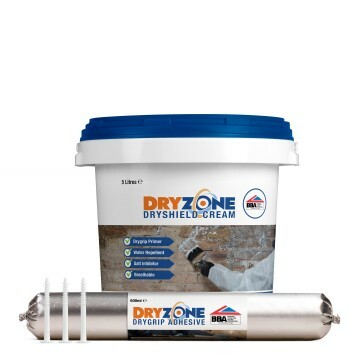 A Dryzone 12 mm Drill Bit is recommended for enhanced debris removal. 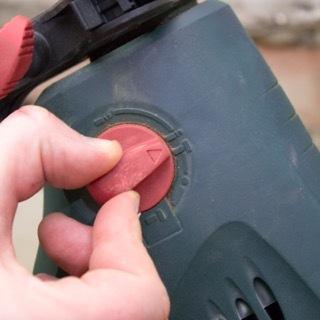 Set your SDS drill to rotary hammer mode and attach the suitably marked drill bit. Identify the lowest horizontal mortar course that is accessible and continuous. Drill holes to the full recommended depth, at regular 120 mm intervals along the wall. As the drill bit approaches the final 40 mm of the intended hole depth, make sure to reduce the pressure you are putting on the drill. Excessive drilling pressure on the rotary hammer setting can result in damage to the far side of the wall. 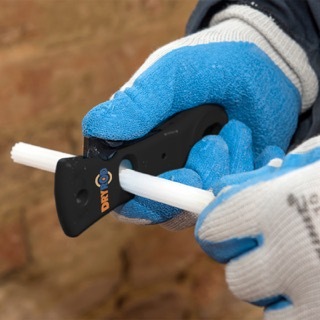 If debris obstructs the insertion of the damp-proofing rods, the Dryrod Hole-Clearing Tool can be used to ensure the hole is completely clear. 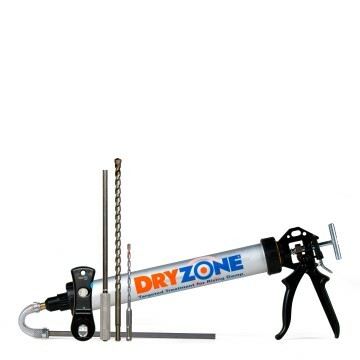 A standard Dryrod Damp-Proofing Rod is 180 mm in length, which is the exact length required to treat a standard 9″ wall. If the wall is thinner than 9″ then cut the rods down until they are 10 mm shorter than the length of the hole. If the wall is thicker than 9″, cut a second rod down until its length is 10 mm less than the excess left after inserting one whole rod. 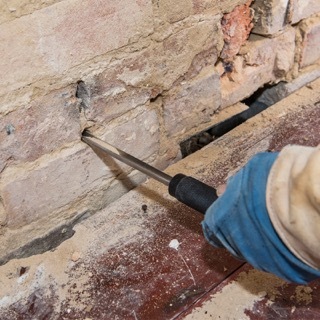 Fully insert the rods into each hole, ensuring that the rods are recessed approximately 5 mm from the brick face, taking care not to compress the rods against the back of the holes. Will recommend and hope to purchase again. 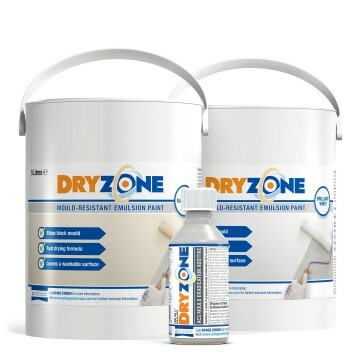 Very good product thanks . clear precise instuctions for use, straightforward installation. easy to use and handle and to shorten if required. Very easy to install ,only time will tell whether it is effective. I was a bit unsure of the rods ar first but I have fitted them and I can now start to see a difference. 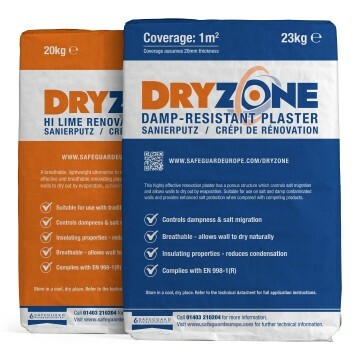 Very simple solution and easy to install, await the results to see if the rising damp has been solved. An excellent and simple material to work with and instal. Does what it says with no hassle and no mess, clean simple, protected. Great item that works, and is easy to use. Can't really give a rating as I've since ordered another 250 rods to do entire house and only time will tell, however, they were simple to install and they are also approved to British Standard. Spec and reviews positive but there'll be a time lag before product effectiveness shows.